"Marriage is like a public restroom, those waiting outside are desperate to get in and those inside are desperate to come out." - this is a popular saying. 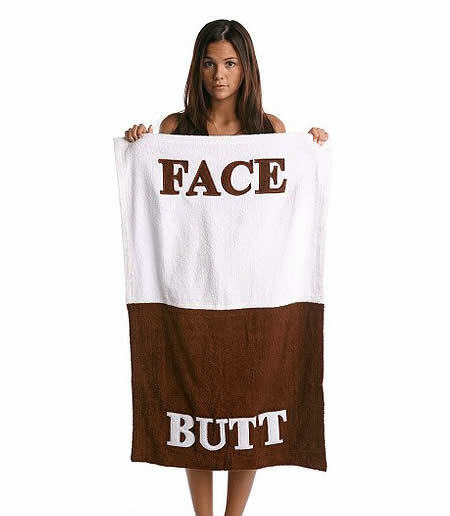 For some, the bathroom is a relaxing getaway, for others it's a necessary evil. 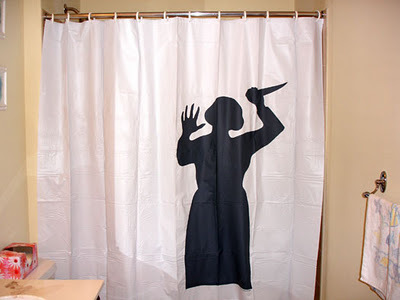 Anyway there are still some people who like to make their bathroom a little different and creative. 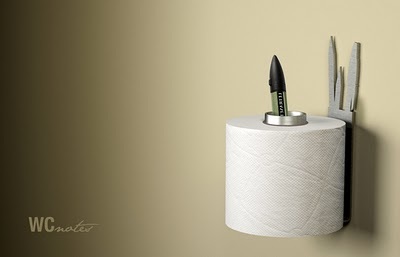 So we bring you a collection of cool bathroom gadgets and innovative creations designed to make things easy. 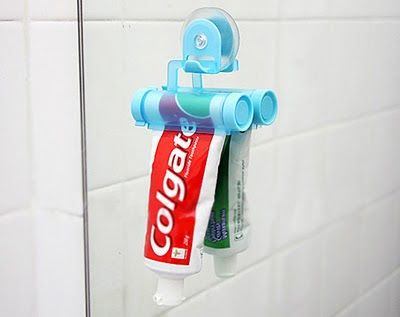 Simply push on the right nostril of the Nose Gel Dispenser and your green gel will ooze right out. 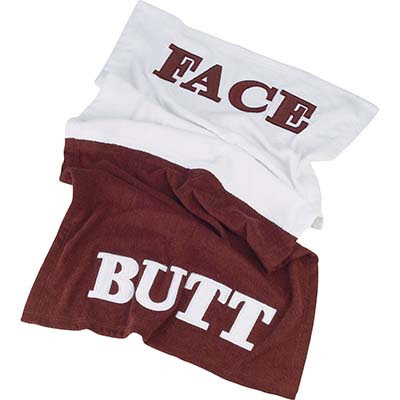 Kids will love it, your hubby will find it hilarious and the best part is that everyone will enjoy getting clean. Indeed! 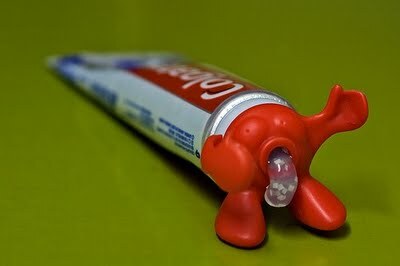 a creative idea. 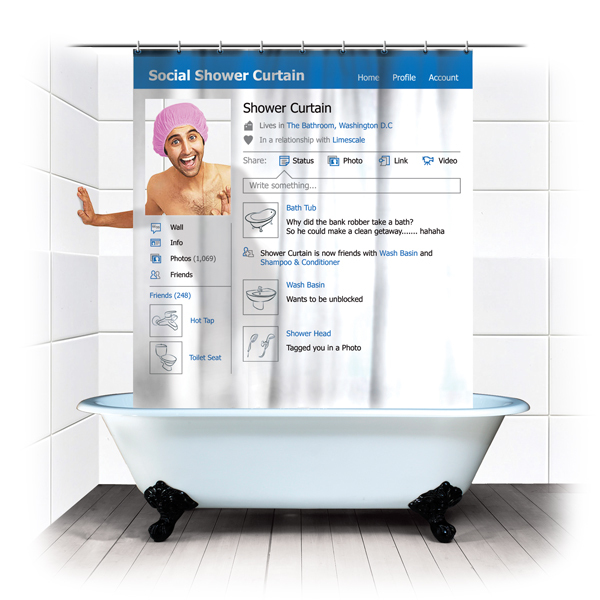 Make your shower your Facebook profile with the Social Shower Curtain. 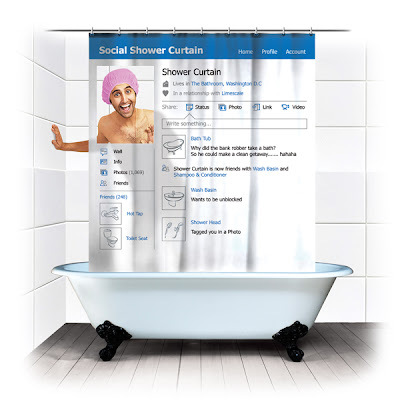 Coming in February for about $23, this shower curtain ensures that you’re never away from the familiar blue hues of Facebook even when you’re in the shower. In this mat, slippers are integrated into the mat itself that allows you to walk comfortably without slipping on dirty or wet floors. 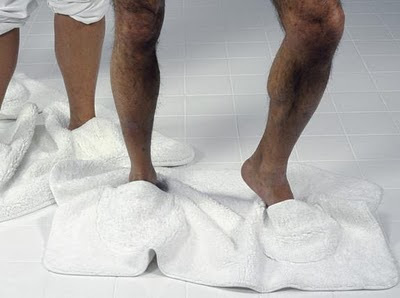 Apart from this Mat Walk can be seen as a new way of wiping the bathroom floor. A toilet seat with a built-in digital scale. 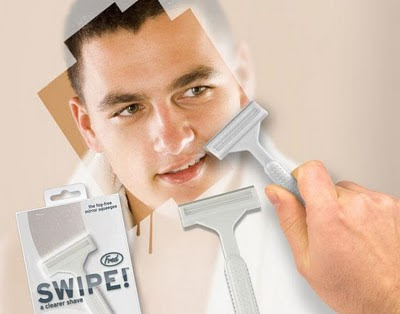 This grooming tool is sure to give you the perfect goatee every time you shave. With this, one of the world's most famous movie scenes can be reenacted in your bathroom. 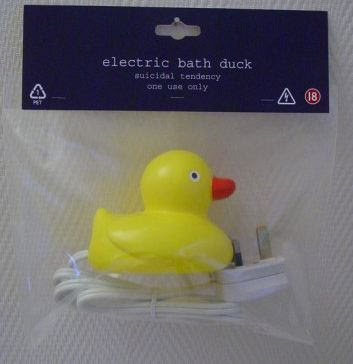 For a hilarious prank on the guests, all you need to do is put it in the guest bathroom. 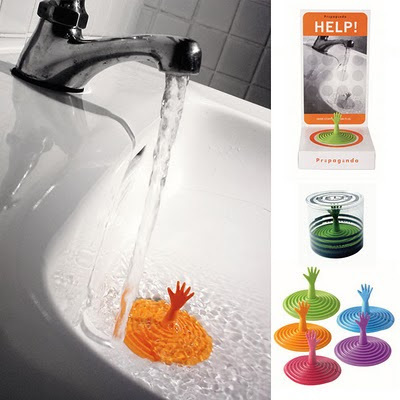 Made from a rubbery material that will stick to any surface; all you need to do is just slip your shower hose through and move it anywhere you like. 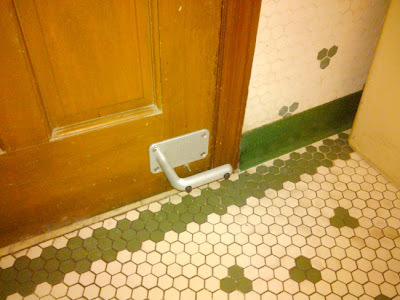 It ends any possible confusion about which side to use. 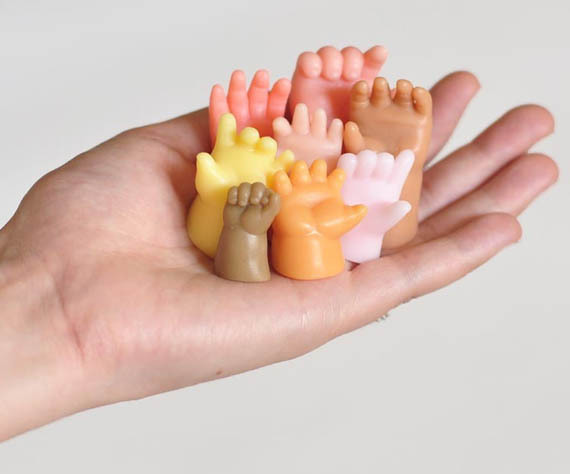 If you are among those who get most of your creative ideas in the shower and you had enough using washable crayons, then perhaps these may be just right for you. With these ones you can wash your hands with hands. 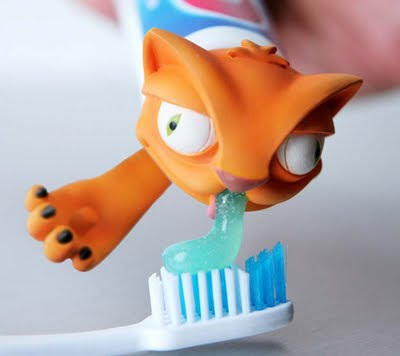 Getting the kids to brush their teeth everyday can be a bit of a chore, but there is a simple and easy solution to it - Toothpaste Heads/Caps. 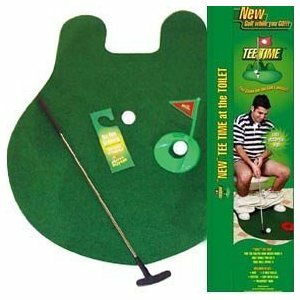 Comes complete with putting green, 2 balls, golf club, cup with flag, and occupied sign. Creation of designer Anna Karmazina, this innovative techie assistant cleans and tidies up your bathrooms automatically. 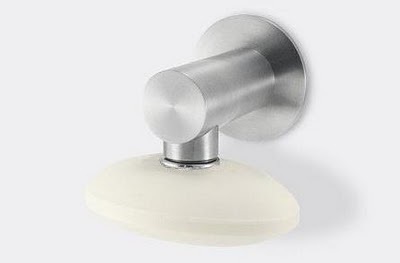 All you need to do is connect it to a water tap and it starts to clean showers, bathtubs, floors or walls; the suction pads on the bottom allow it to climb up the wall too. 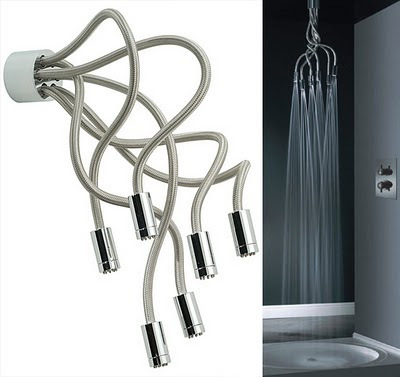 It can be installed to any standard shower pipe in matter of minutes. 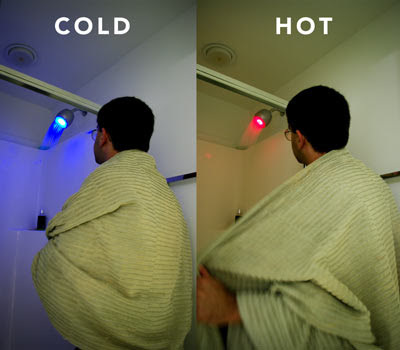 Blue light changes to red when the water heats up. 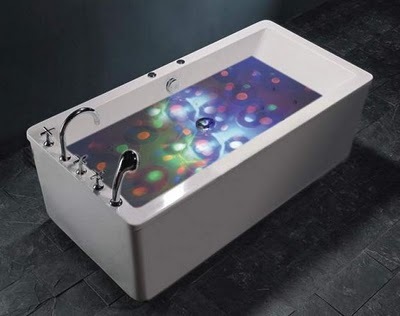 Perfect for a pool or spa you'd like to jazz up for a party. This waterproof underwater light show creates beautiful light display perfect for a relaxing night or to get the party started. 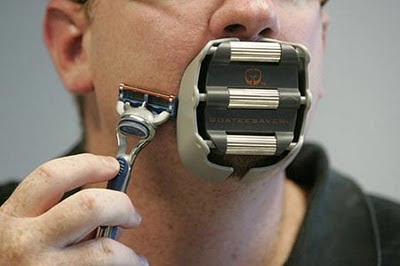 An creative way to stock your razor. 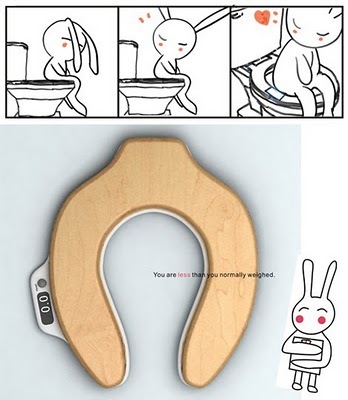 Its cute and convenient. Japanese toilets are quite special, But this one is weird too. we now have an MP3 player. Don't worry it isn't integrated into the seat but rather in the control system/computer of the toilet that is situated on the wall. 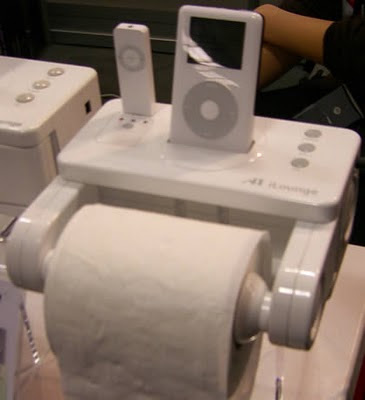 It's a toilet paper dispenser/iPod dock, that supports all iPod models that have a dock connector and an integrated USB for the shuffle. 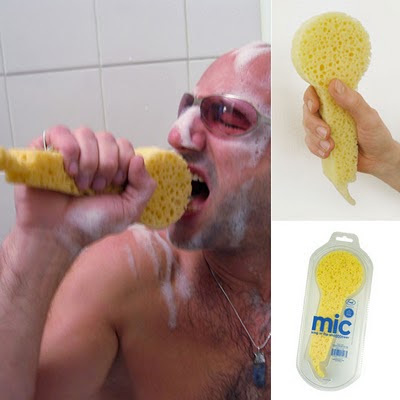 For those who like singing during their shower. 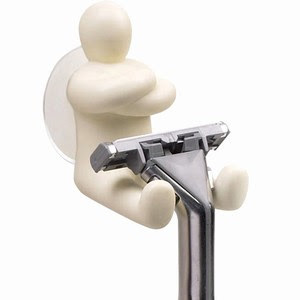 It's a toilet roll holder + pen, now you can write or draw that note, sketches, doodle ... before they disappear. 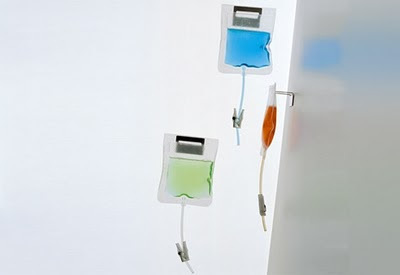 It winds and compresses the tube evenly, allowing maximum usage of each tube, available in four different colors. 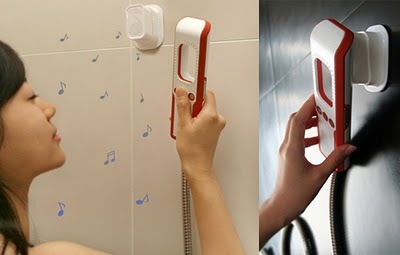 With this musical shower one can listen to tunes in the shower. 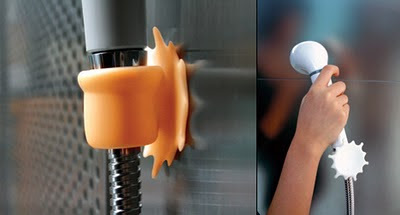 Just press the supplied magnet into your soap bar and your soap is now beautifully and neatly stored when not in use. it comes with a stainless steel support and disposable clear plastic container. 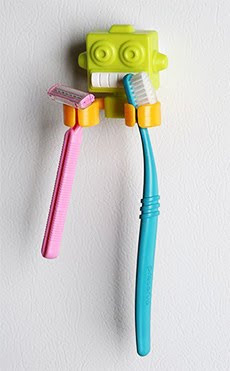 This cute robot's hands can hold your tooth brushes and razors. 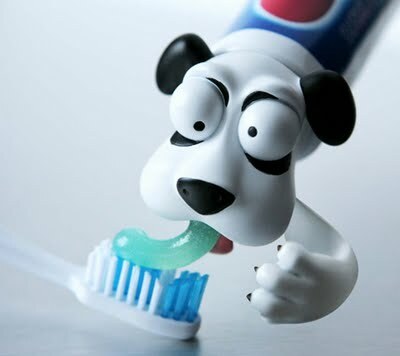 This clever toothbrush holder puts a happy face on dental hygiene. The Philips Sonicare HX9332/05 Diamond clean Rechargeable Toothbrush is an electric toothbrush that charges via USB. 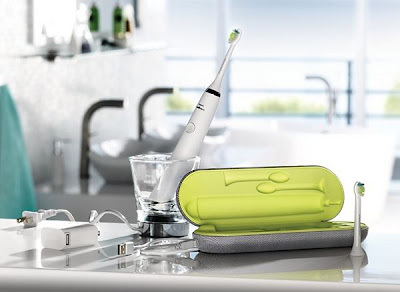 The coolest part about this toothbrush is the charging glass- that normal looking drinking glass is actually an inductive charger sitting on a power base that you plug in. 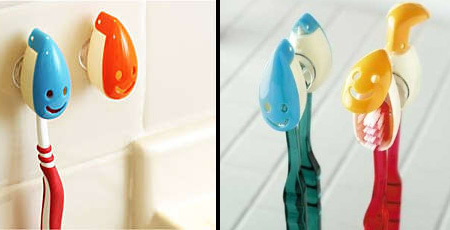 Toepener is the Germ-free Way to Open Bathroom Doors. The public restrooms are usually pretty nasty. 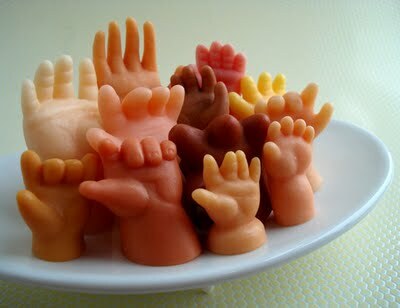 Sure YOU wash your hands but nobody else does and they all put their germ-filled hands all over the handle. You need a way to make a “clean” escape. This hook shaped device goes on the bottom of the door and lets you open it with your foot. 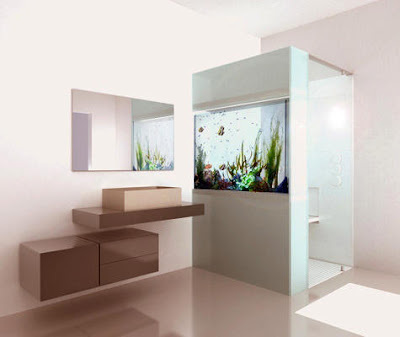 This totally baller shower enclosure called Plano Acquario by Cesena has a real aquarium built right into one of the walls. Break out the Windex and let’s take a ride into fingerprint city. 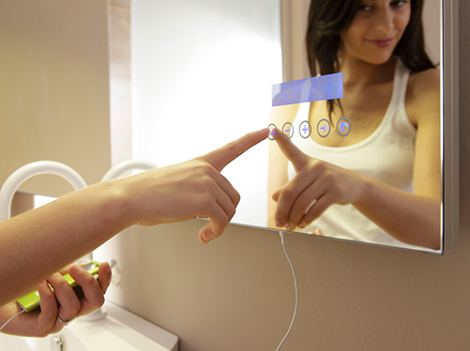 The Maitre mirror from Italy’s Stocco adds a sleek digital touch to your bathroom mirror. A touch screen console features an integrated radio, clock, and barometer. 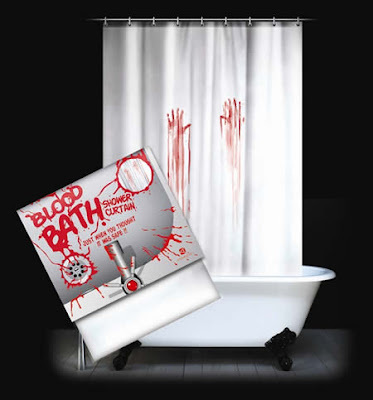 Blood Bath Shower Curtain ($18.46) is completely practical - you can use it to keep the water in your shower, but that's not why you want them. You want them for the thrill, for the little jolt down your spine every time you turn on the lights.